If volunteerism is a measure of someone’s passion, then Lisa Sellman’s knows no bounds. "If you want to feel good, volunteer," said Sellman, also author of the children’s book The Legend of the Wolves of Gunflint Lake (www.lisasellman.com), which contains the theme of the value of community service. "There are few ways to feel as good about yourself as volunteering. Now, I realize that many of us are wrapped up with work and family, trying to make ends meet, so the idea of volunteering can seem like it’s just another ‘have-to’ to write into the already crowded calendar. However, I know for a fact that if you do it right, it can be a great stress reliever and a source of true joy in your life." Choose Wisely – Many people get "roped into" volunteering for an organization because their boss is involved with a charity or a family member is working on a community project. Those can be rewarding ways to enter volunteerism, but only if the project is a match for your personal interests. The most important aspect to volunteerism is to find what you love, and direct your energies into a charity or community organization that matches those passions. If you’re an animal lover, work with a wildlife rescue mission or animal shelter. If you are a nature buff, there are plenty of environmental foundations that can use an extra set of hands. If sports is your thing, there are plenty of community recreation centers that need coaches for needy kids enrolled in their programs. No matter your interest, you can match it to a cause that needs help. Just pick the right one, and your volunteer time won’t be a chore – it will be a joy. Watch Your Schedule – As much as you want your passion to direct your choice of project, you don’t want those volunteer projects to rule your schedule. Make sure you balance your volunteer time carefully so that your professional life and your family time doesn’t take a critical hit. Most organizations will take as much time as you offer them, but if you only have an hour or two each week, they’ll take that time, too. Your volunteer life should not consume your work or home life. Have Fun – Helping others is its own reward, but it shouldn’t feel like a chore. Even the most mundane task can be fun if you manage it with a sense of humor and passion for helping others. "You don’t have to spend a lot of time as a volunteer," Sellman said. "If everyone gave even just an hour a week, every community organization in the country would be turning volunteers away, because they’d have more than enough. The key is to understand that volunteerism doesn’t have to take over your life, and that if you do it right, it will add far more to your spirit than it takes away from your calendar." One Response to How to Volunteer with Passion ~ Use Your Time, Energy and Talents to Make the World Better! 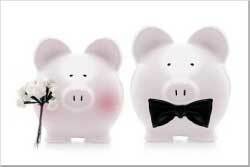 Top 7 Tips for Creating a Beautiful Wedding on a Budget!